These homes were built after the City of Chicago’s building footprints dataset was created (2010?). Ian Dees imported the dataset in 2012. Many of the buildings that you can now see on Bing Maps have not been present on Bing’s satellite imagery since at least 2012. 1. OpenStreetMap is the world’s most complete free map, to which anyone can contribute their “ground truth” data (the location of wells and convenience stores, road names, and whether Lula Café at 2537 N Kedzie Boulevard in Logan Square has outdoor seating). 2. OpenStreetMap is used by thousands of non-profit and non-governmental organizations, corporations, apps, and people daily to locate themselves, locate others, get directions, and find places. 3. Nearly every map is out of date the moment it is published, including online, “current” maps like Google Maps, Bing Maps, their competitors, and OpenStreetMap. 4. Bing Maps provides its satellite imagery to OpenStreetMap editors – you and me – so that we can trace (copy) things on the planet to be things on the map. Google Maps doesn’t allow tracing (copying). 5. Bing updated its satellite imagery for Chicago (and probably a lot of other places) within the last six weeks…and there are hundreds of objects that aren’t yet mapped in OpenStreetMap. In Chicago most of these buildings are newly constructed houses. 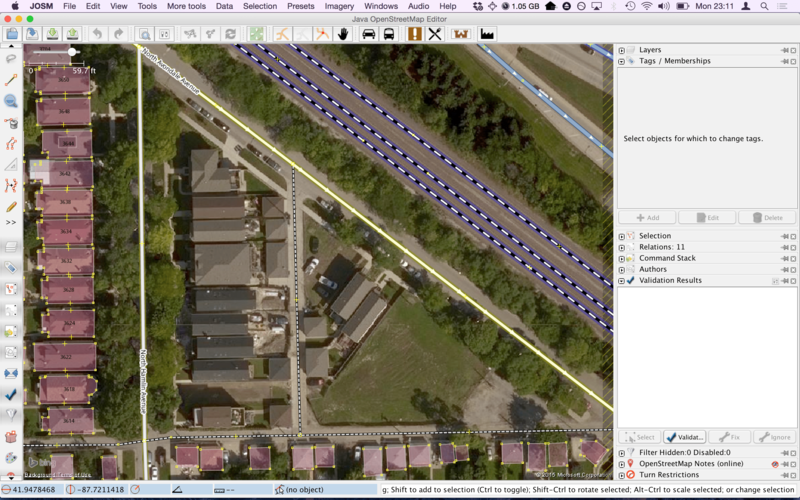 Those hundreds of houses now need to be added to OpenStreetMap, with addresses, to complete the buildings collection in Chicago, and to expand the gazetteer (an address book) of places in Chicago. Leave notes at buildings which aren’t yet mapped so that map editors like myself know where to look to trace buildings. Update: There’s a bonus third thing you can do, and that’s come to the next MaptimeCHI event on Thursday, February 26th, at the Chicago Community Trust (225 N Michigan, 22nd floor). RSVP for Anatomy of a Web Map. The Trust will also provide food and beverages. I’ll be there to teach new mappers and assist generally. You can contribute without editing by adding notes describing new things, or identifying problems with existing things. 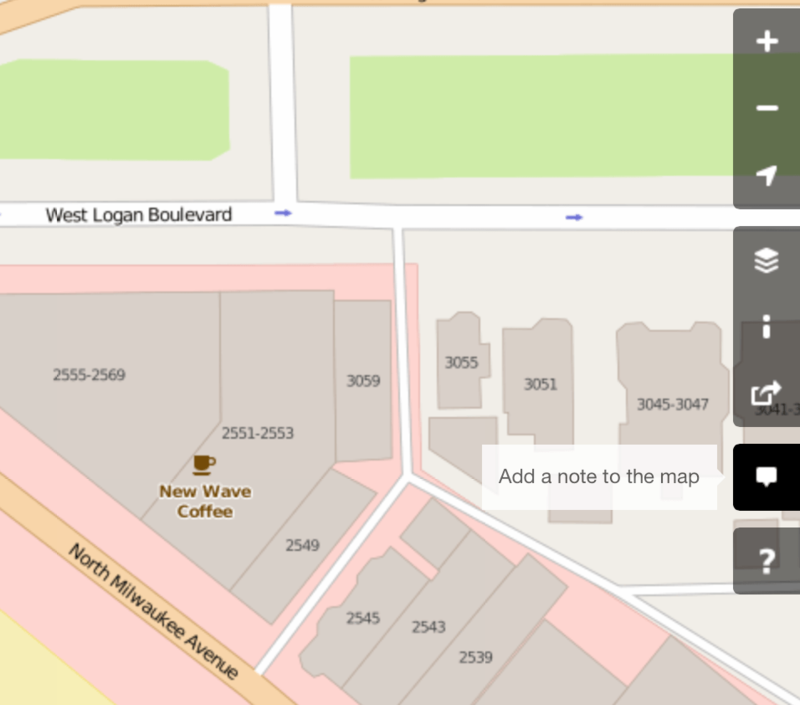 Click the “Add a note” button on OpenStreetMap.org.